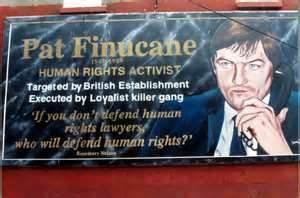 John McAnulty (Socialist Democracy – Ireland) writes about the broader implications of the British government’s De Silva Report into the killing of the Nationalist lawyer, Pat Finucane, murdered by UDA members. There is really no excuse for confusion about the role of investigations and enquiries held by the British state into itself. They are given into a safe pair of hands. Where possible, wrongdoing is denied. Where it is not possible a formula is found to limit the damage.